This amazing property is located in the heart of Lagunas just 10 min from the beach and the last 5 min is on a very well maintained gravel road. This property is perfect for someone that wants to continue renting the existing cabins, or run the property as a retreat center, or remove the cabins and build many new homes. 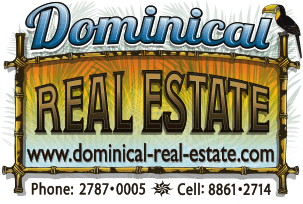 When you enter the gated property, you are on a very nice, well maintained road that is lined with coconut palm trees. After a few hundred meters on the right you pass the lagoon that the community and farm are named after. Then a little farther up on the left is the driveway to the main home. It is a 4000 sq ft 3 story home with 4 bedrooms and 3 bathrooms, wrap around decks, and covered parking. It would make a great central area for a retreat center. There is room to add a pool. The other 8 cabins are sprinkled throughout the large property and are all very private with great views. They currently rent weekly and monthly and bring in some nice income. A large portion of the 185 acres is forested and has some spectacular trees. There are several rivers and creeks and at least 11 waterfalls. The farm has it's own spring water. There are also countless mature fruit trees all over the property. There is a lot of wildlife on the farm especially because of the lagoon where they come to drink. You are sure to see monkeys, sloths, deer, wild pigs, toucans, and parrots just to name a few. This large property has countless building sites with gentle sloping terrain that make it very easy for future development. It is very rare that you find a property of this size and beauty with such excellent access. There are so many different uses for this property. Real gems like this are hard to come by!!!!! !